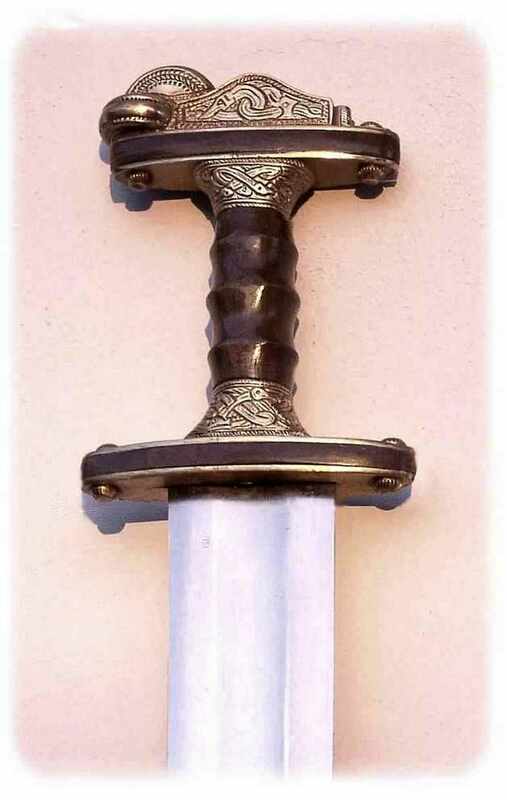 LOMBARD SWORD. 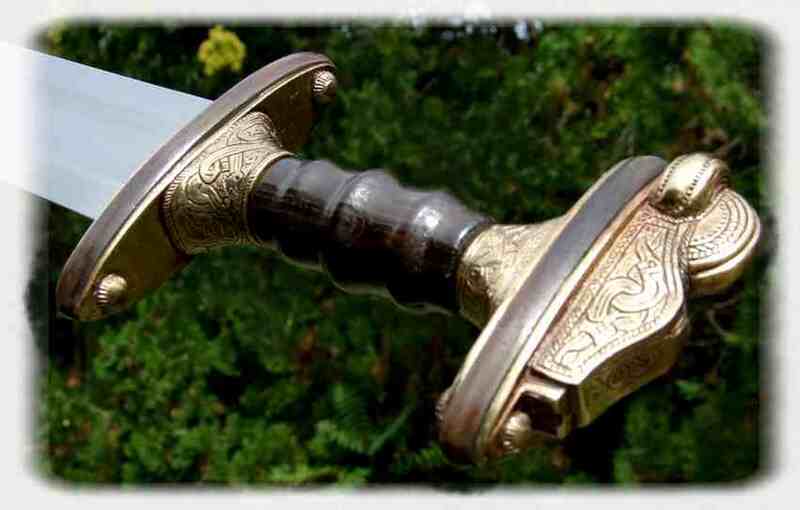 Replica of a sword belonging to a rich Lombard warrior of the Seventh Century. 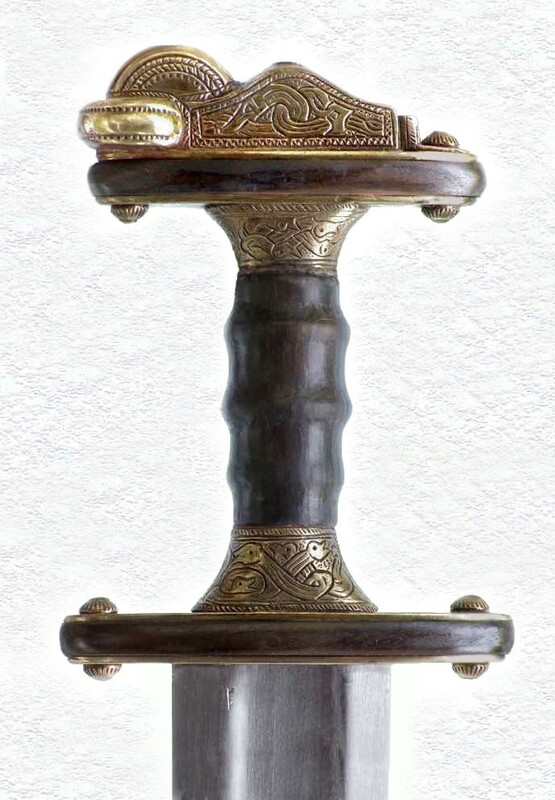 Hilt made of wood and bronze lost-wax-casting Steel blade with broad fuller. 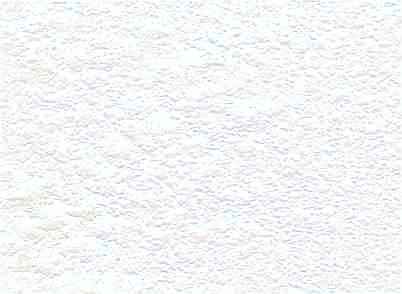 Length overall 94cm. Weight 1190 g.